Seeking a wine with an incredible, distinctive aromatic profile? One which you can easily taste and smell intriguing hints of peach, apricot, hay and flowers, along with a sweetness that resists overpowering the other flavors present in every glass? 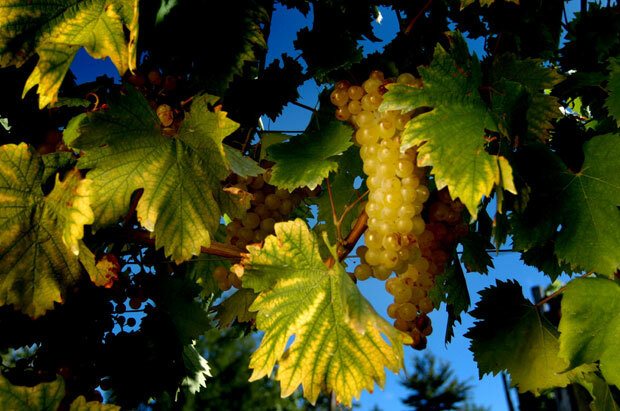 Moscato Bianco, also called Muscat Canelli, provides this distinctive refreshment. One of Italy’s most popular white wines, it is cultivated in the country’s northwest Piedmont region and is in strong demand as a casual and after-dinner drink. The Grape The Moscato grape has a long lineage in almost the entire Italian peninsula, where it has been cultivated for centuries. It is believed to have been called “Anathelicon Moschaton” by the Greeks and “Uva Apiana” by the Romans. The name Moscato derives from the term Muscum or musk, in honor of the grape’s strong aromas. Moscato can be found in other parts of Italy, such as on the southern island of Pantelleria for wines known as “Moscato di Pantelleria” and in Sicily for wines known as “Moscato di Siracusa,” and even other parts of the world. What distinguishes Moscato Bianco from other varieties of related grapes is both its primary locale for growth, featuring a climate of moderate temperatures that help with harvesting, and its unique, delicate taste, which is light and bubbly and emphasizes sweet and fruity flavors. Moscato Bianco can be produced dry, but the sweet version is much more popular. When visiting northwestern Italy, chances are excellent that you will see a vineyard cultivating this wine. 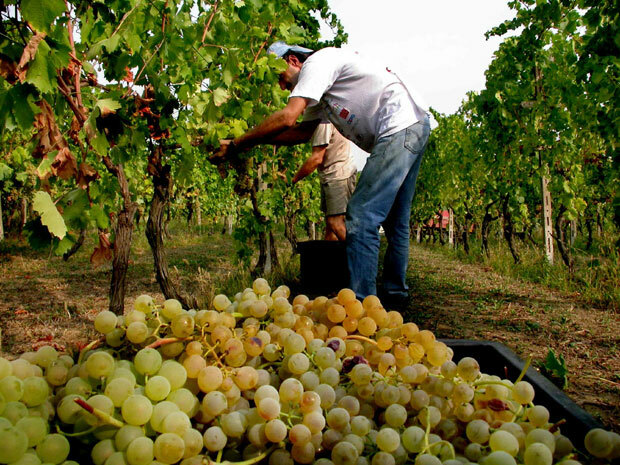 Moscato Bianco is the fourth-most planted white grape variety in the country, with approximately 30,000 hectares of land devoted to growing the crop. The strong demand for Moscato Bianco makes the grape likely to continue making up a large amount of property in Italy’s Piedmont region. 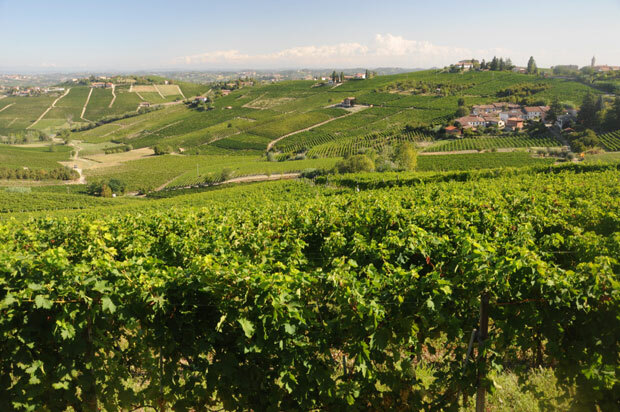 Current Developments A favorite in Italy for years that enjoys healthy demand as an export, Moscato appears assured to hold its popularity in the future. It appeals particularly to casual drinkers and people who look for natural foods because no other wine matches the finesse and vibrant sweetness it provides. Food Pairings Traditionally, Moscato has been paired with desserts after a meal such as fruit tarts and dry cookies to complement their sweetness. Apple or cherry pies are used often in some countries to balance the tastes available to savor. Some native Italians like to insert strawberries or peach slices into the Moscato itself as a treat. However, other sweets such as chocolate tend to overpower the grape’s delicate taste and should be avoided. Although it has been used most of the time as a beverage following lunch or dinner, Moscato wine has been employed in the last few years by adventurous chefs who have recommended it with meals featuring cold cuts. This is because it works well in reducing the impact of the saltiness of the meats. Wine Tips Summertime is the perfect time to relish the delights of Moscato Bianco because the grape for the wine reaches its peak ripeness and is ready for harvest. Grapes picked too early in the season tend to be acidic and lack a fully developed aromatic profile, while those harvested too late will display some unappealing geranium aromas. Additionally, traditional September precipitation can affect its quality because the grape’s skin is thin and can easily break with heavy rains. The shelf life of Moscato is relatively brief, usually staying fresh no more than a year. Consumers should always drink the most recent vintage, as the wine has a tendency to spoil easily. The ripeness brings out its natural fruitiness at its peak as well. The best methods to preserve its quality are to keep the wine chilled and served in Champagne glasses. Due to its relatively low alcohol content (5.5 percent), drinkers are less likely to feel a kick from drinking Moscato than a clean and sweet taste on the palate. Indulging in a Moscato Bianco offers a leisurely way of appreciating wines. If you seek a break from a hard day’s work at lunch or dinner, or even just a way to recuperate from playing outdoors, a good Moscato wine from Italy’s Piedmont region is the perfect answer for calming your nerves. The Latest Innovations for Moscato Bianco Producers at major vineyards are continuing to refine ways to enhance the appeal of Moscato Bianco. One is L’Armangia, which the current operator Ignazio Giovine launched in 1988, releasing his first Moscato Bianco wine two years later. Using lessons learned while earning his degree in enology (the academic study of wine) that he received from the University of Alba in Italy in 1988, Giovine incorporated that knowledge with the traditional winemaking techniques of his father to create a wonderful Moscato Bianco wine. While much of Giovine’s methods remain an industry secret, it is known that he has used some of the scientific approaches discussed in his university such as determining how, when and where to plant the grapes for maximum sun exposure. The result of his combination of the old with the new is Moscato di Canelli, a very popular offering with an elegant presentation. Both simple yet intriguing, this wine provides a lingering fruity flavor that distinguishes it among other Moscatos available on the market. The wine is produced in the Canelli area of Piedmont. 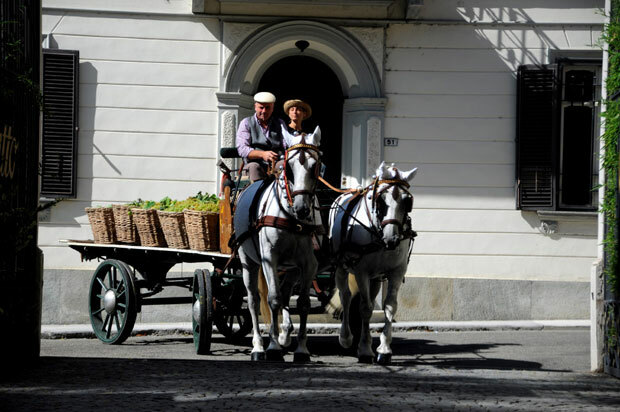 Many other countries make their own variations of the product, but the Moscato Bianco grapes of this area offer a refined sparkling treat unmatched by any competitors. Photos courtesy of Consorzio dell'Asti D.O.C.G. Manuel Magnani is the founder of Sunrise Wines (http://www.sunrisewinenc.com), an importer of fine Italian wines based in Raleigh, N.C. As his company’s primary seller, he personally selects each bottle as a reflection of his desire to provide a great quality to price ratio for customers, as well as true and tasteful expressions of Italian grapes and terroir. With 15 years of professional experience as a wine consultant, the Rome native hosts wine seminars and provides training to personnel in Italian restaurants on appropriate handling and serving of wine in addition to his sales operations.